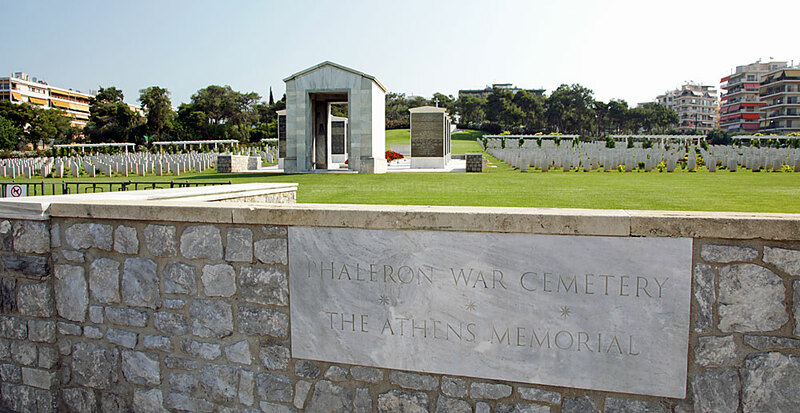 Phaleron War Cemetery lies a few kilometres to the south-east of Athens, at the boundary between old Phaleron district and Alimos-Kalamaki district, on the coast road from Athens to Glyfada and Vouliagmeni. 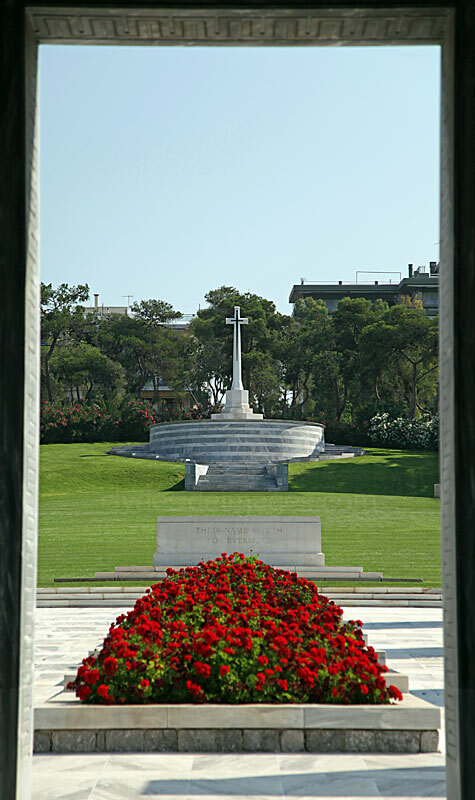 The site can be reached easily from either Athens city centre or the coastal resorts by tram. 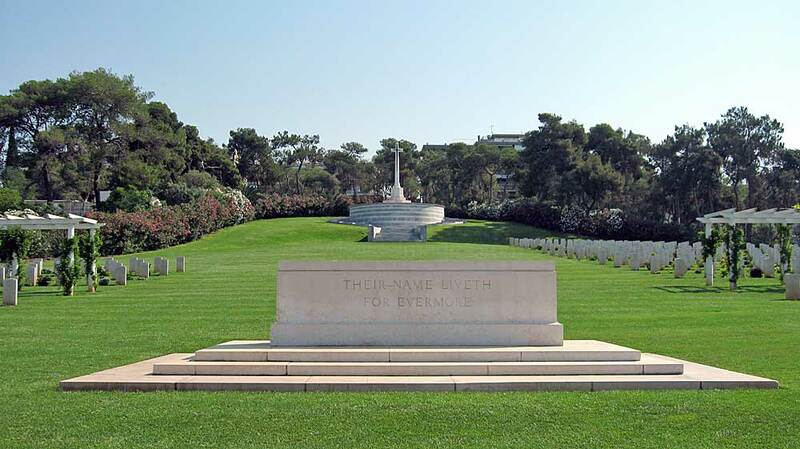 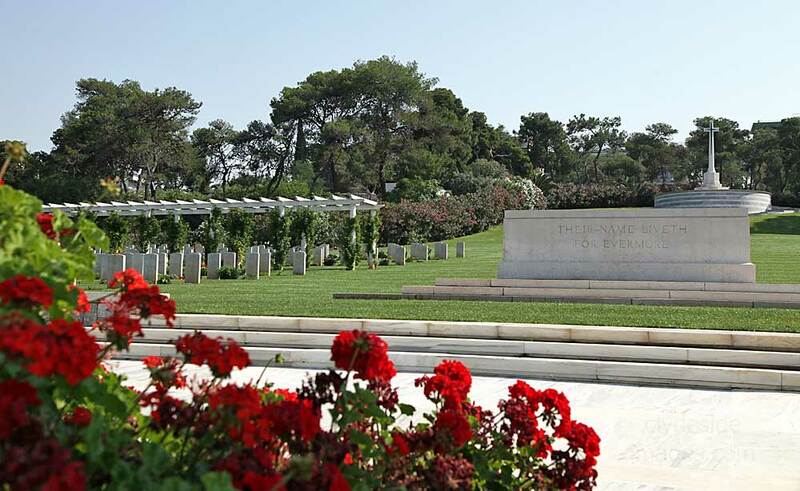 ​The site of what is now the Commonwealth War Graves Commission Phaleron War Cemetery was chosen originally by the 4th Division as a burial ground for Commonwealth casualties of the Greek Civil War (December 1944-February 1945). 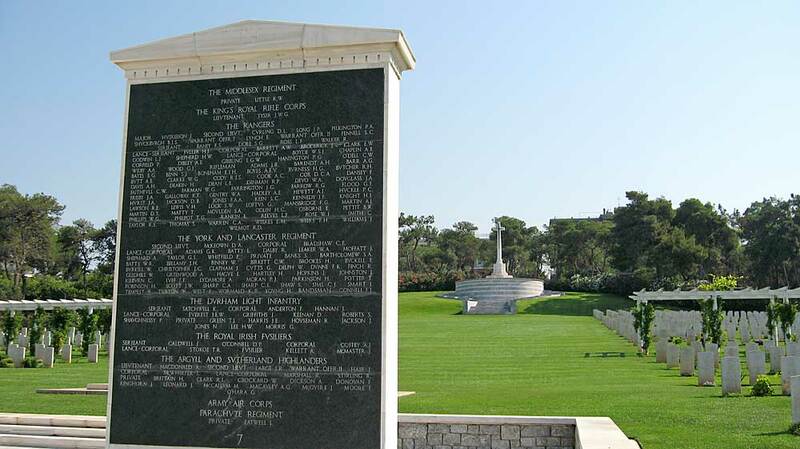 Subsequently, the military authorities, in conjunction with the Greek Government and the Army Graves Service, decided that it would be the most suitable location for a cemetery for all Allied troops who fell throughout mainland Greece during the Second World War. 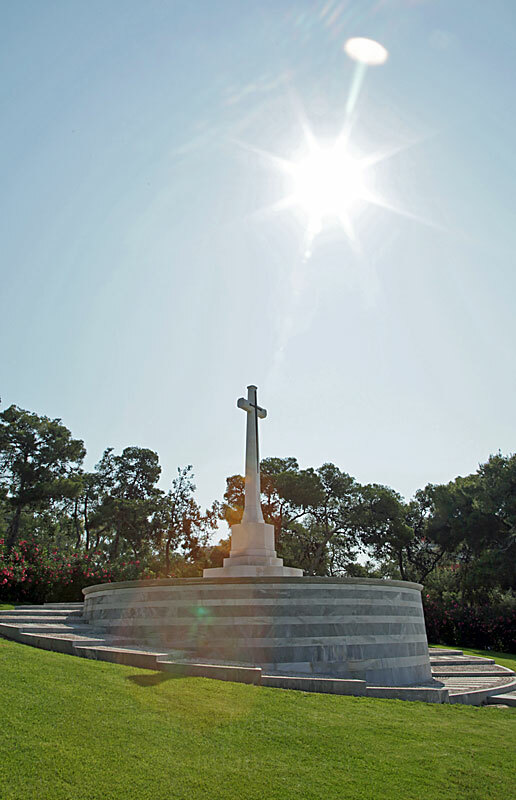 ​The 23rd and 24th Graves Registration Units and the 21st and 22nd Australian War Graves Units worked together to bring in the remains of casualties of the 1941 campaign from the various battlefields, temporary military cemeteries and from civil cemeteries throughout the country. 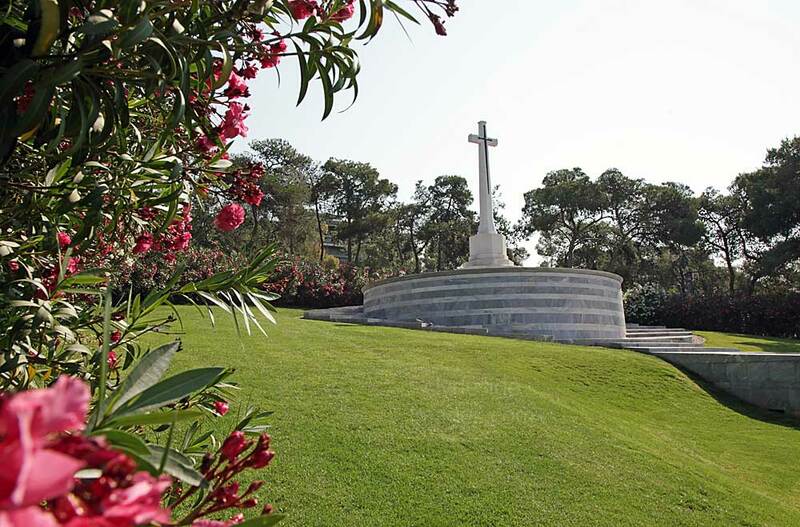 There are now 2,029 Commonwealth servicemen from the Second World War buried or commemorated in this cemetery with 596 of the burials unidentified. 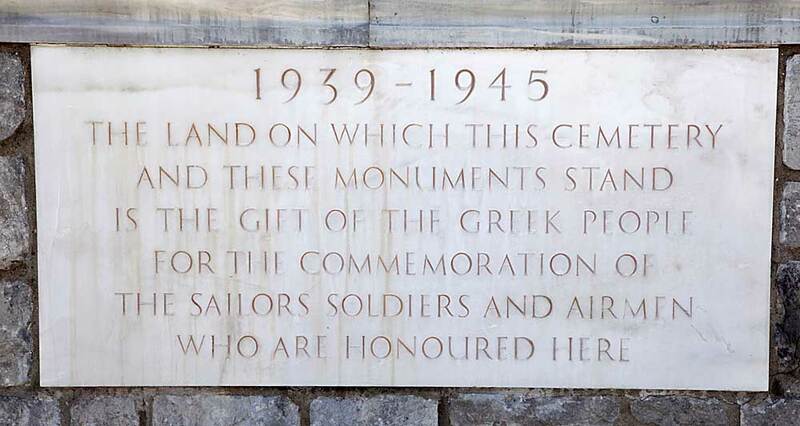 ​The Athens Memorial commemorates almost 3,000 members of the Armed Forces of The Commonwealth who lost their lives during the campaigns in Greece and Crete in 1941 and 1944-1945, in the Dodecanese Islands in 1943-1945 and in Yugoslavia in 1943-1945, and who have no known grave. 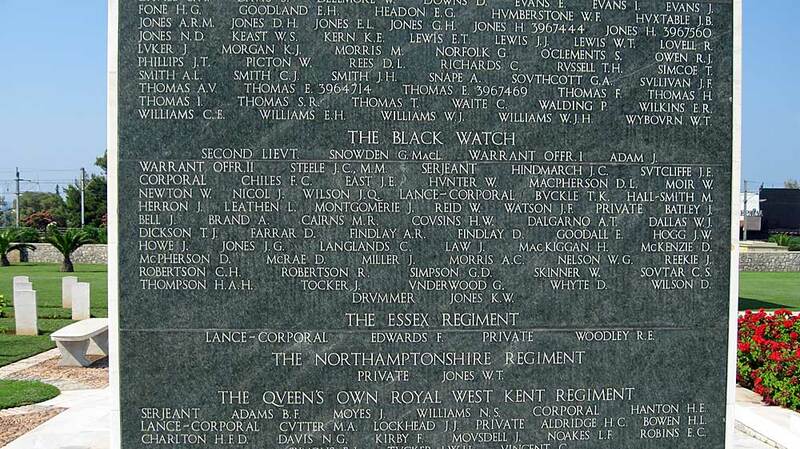 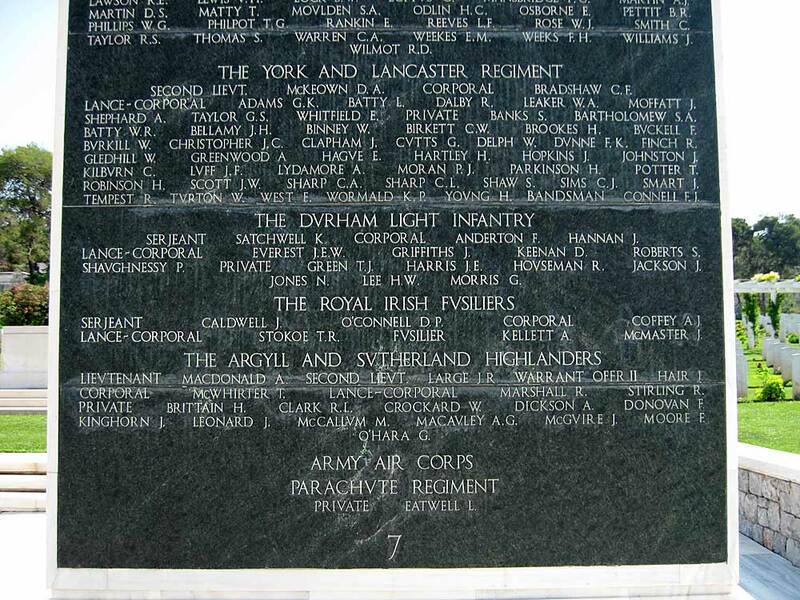 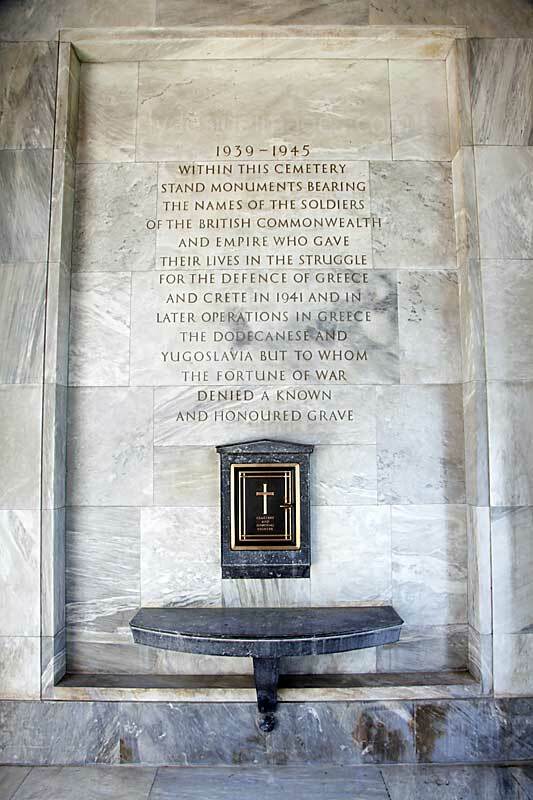 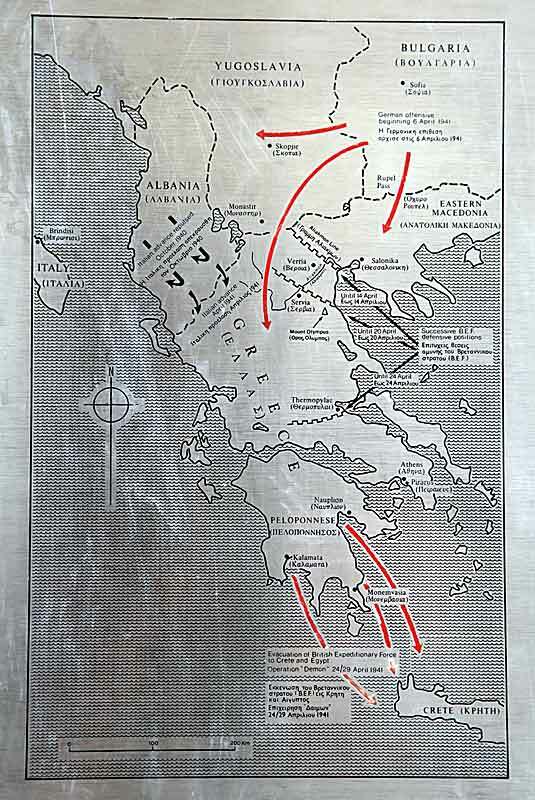 ​Information panels within the Memorial, in English and Greek, provide a brief history of the Campaign. 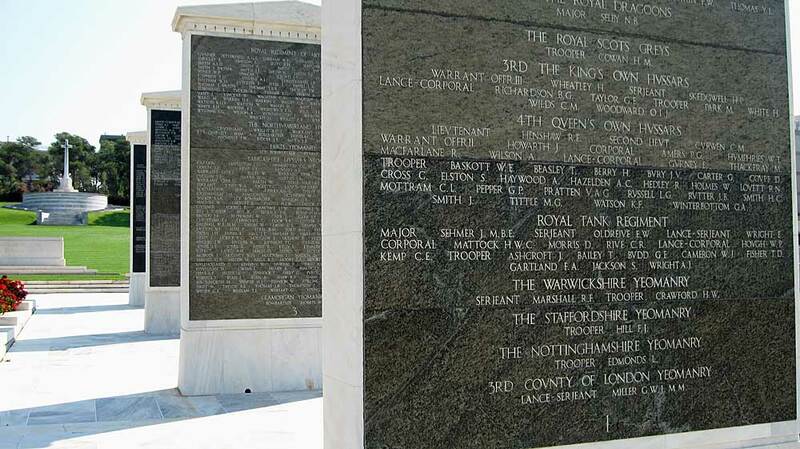 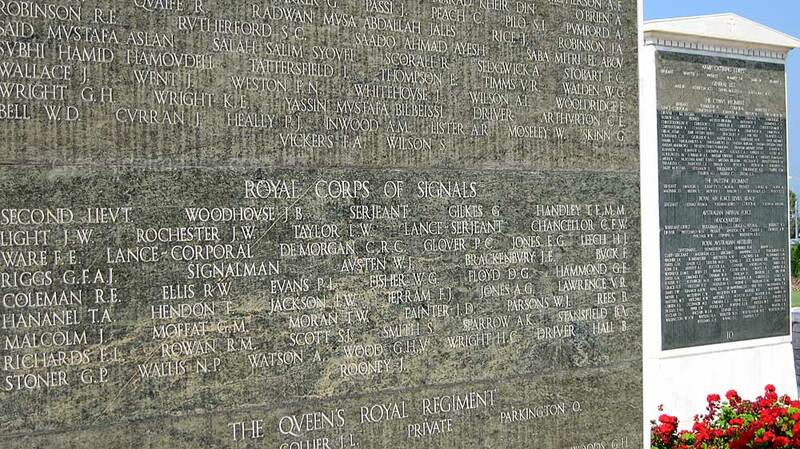 These numbered double-sided plinths list casualties by regiment and are a constant reminder of the personnel from various nations who gave their lives during the conflict. 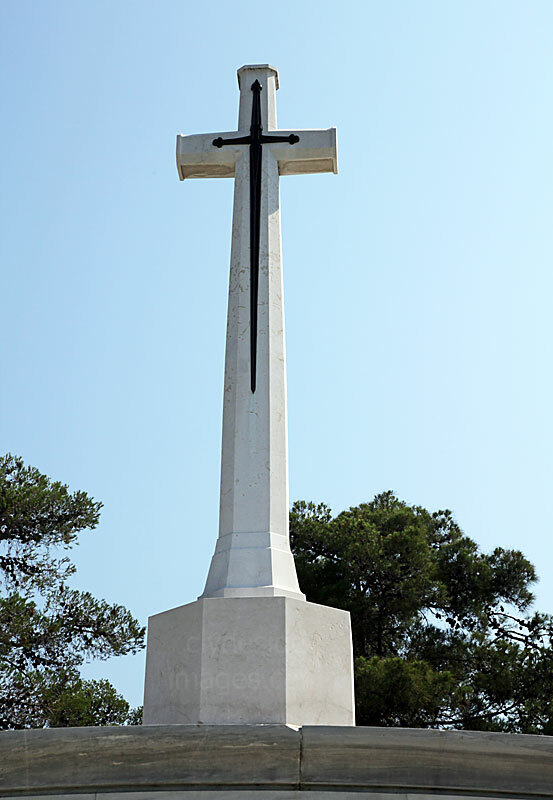 Additional memorials within the cemetery commemorate casualties re-buried here from original graves which, owing to the destruction of local records, could not be identified. 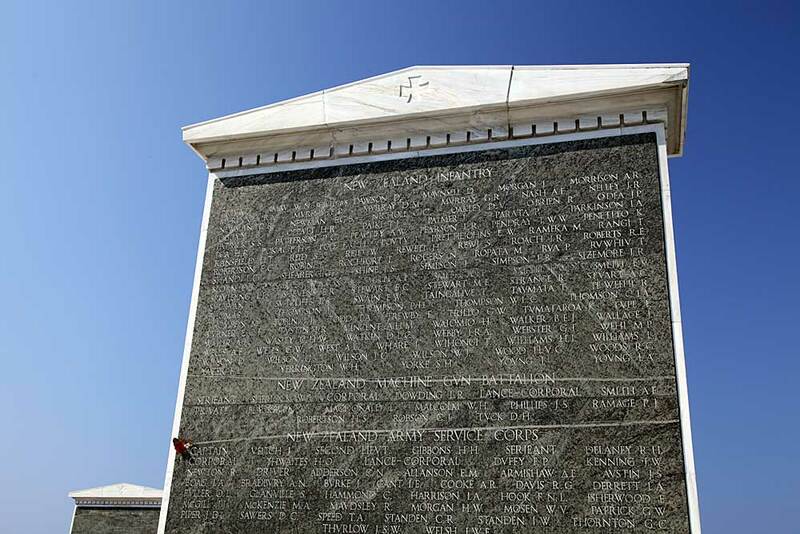 The Phaleron Cremation Memorial commemorates 74 men of the Indian army who died during the campaigns in Greece and Crete and who were cremated in accordance with their religion. 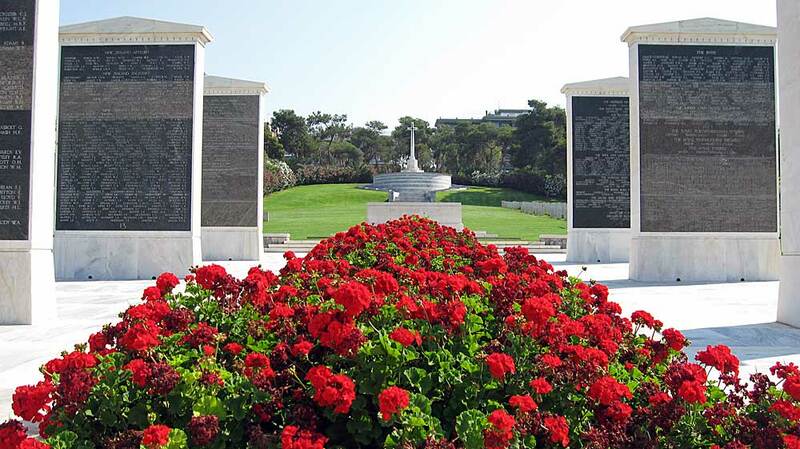 In addition to World War 2 casualties, a plot in the north-east corner of the cemetery, contains the graves of servicemen and civilians who after serving in the Crimean War, died in Greece, and were buried in the Anglo-French Crimean Cemetery, New Phaleron. 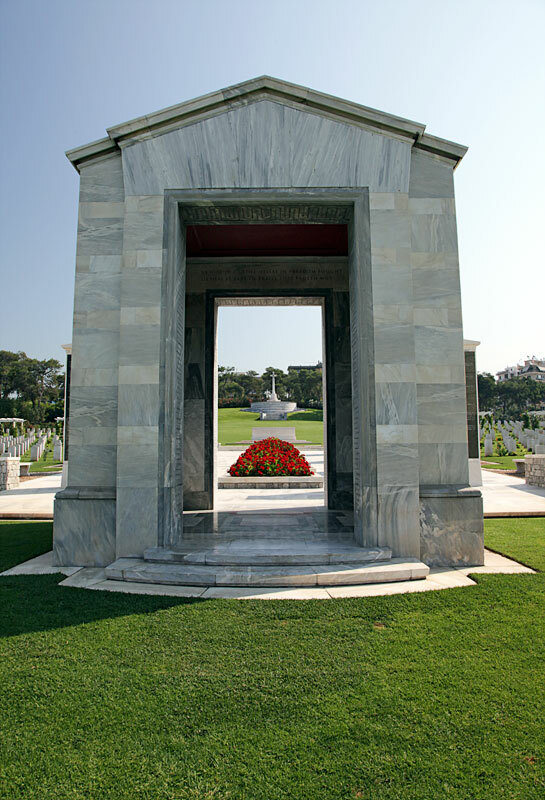 The graves were moved to their current location in 1966 when that cemetery could no longer be maintained. 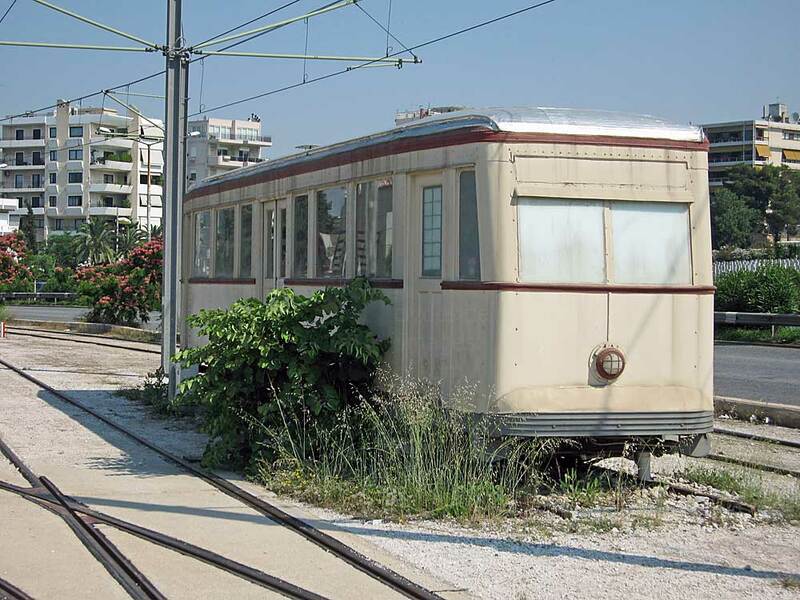 This derelict tram stands at the Phaleron Station.